Weather, navigation training, the humble compass, they’re just some of the smartphone and tablet apps available to today’s sailor. A lot are cheap and some even free. Handy as a backup system to serious onboard electronics, apps can also add a new dimension to a daysailor’s otherwise limited onboard gear. 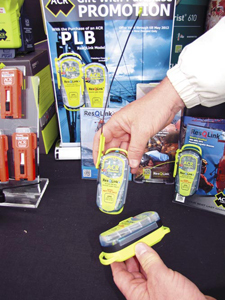 Likewise are the handheld equipment like EPIRBs, PLBs, portable VHF radios, and smartphones. Communication options continue to evolve and expand particularly the sat phone market, while new electronics can now create onboard hotspots and extend the range of Wi-Fi. Entertainment options are a staple of boating life these days, with Sat TV on the improve and marine hi-fi filling the void, while power options include solar blankets and LED efficiency. 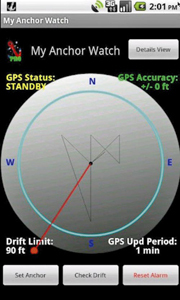 My Anchor Watch Pro uses the GPS on smartphones to monitor your boat’s position, so is a handy backup to installed gear. If the boat moves outside of set limits, the program will alert you immediately. MobileGRIB is a GRIB2 viewer app for Android enabling sailors to download GRIB files of any region of interest. Source for the Gridded Binaries is the American National Oceanic and Atmospheric Administration (NOAA). 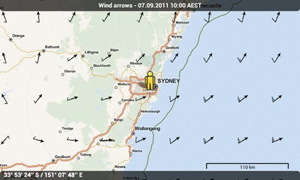 Forecast times and variables can be chosen from pressure, wind arrows (pictured), temperature, cloud cover, humidity and precipitation for the upcoming eight days between a resolution of 1° x 1° or for even more detail 0.5° x 0.5°. By selecting only what the user needs, this procedure will keep the size of the downloaded GRIB file low, making it especially convenient for low-bandwidth regions covered only by Edge or GPRS networks, or simply regions with low cellular coverage. Very useful aide memoir for the navigator or training aid along with Imray’s Marine Chart Symbols. The app contains more than 800 symbols and abbreviations all indexed, along with a quick search facility. A handy feature is the sample chart with visual popups for commonly used symbols. It also has a favourites tab to archive commonly used symbols. Reproduction is in colour as per a chart so ideal for trainee Yachtmasters and old salts needing a memory jog. 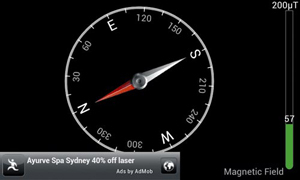 This Android download is free and gives an accurate analogue compass readout with calibration and can be used in conjunction with your phone camera. A popular download from the Android market. The Pro version can send lat/long via SMS. ACR’s latest EPIRB approved for Australian use is the ResQMate G, a new manual-only activation 406MHz EPIRB with onboard 66-channel GPS. With three levels of integrated signal technology — GPS positioning, a 406MHz signal, and 121.5MHz homing capability — the ResQMate G relays critical emergency positioning to the Cospas-Sarsat International worldwide network of rescue satellites. 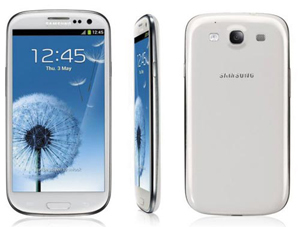 The fastest Android phone available is thanks to the GS3 being the first phone to feature Samsung’s new quad-core Exynos processor. In performance benchmarks run across all Android phones, the GS3 has steamed ahead, scoring top marks in web standards execution, 3D graphics rendering and basic number crunching. The Android Achilles heel is better life and this has been addressed with the new 2100mAh battery (previously 1800mAh). The handset also offers channel-bonding Wi-Fi, which doubles the bandwidth. Available on Telstra’s 4G network and 3G with Virgin Optus and Vodafone. Personal safety is always a priority, so the latest Personal Locator Beacon (PLB) from ResQLink is $399 well spent. Hit the button during an emergency and you will be located by satellite, plus the latest version floats making it ideal for taking in the tender. The IC-M91D is the latest in Icom’s useful float-and-flash range. This handheld VHF radio has DSC and GPS inbuilt. It outputs 5W RF and is powered by a 1500mAh Li-ion battery for an eight-hour typical battery life. Satellite communications are becoming more affordable and AST is offering several bundles with plans. 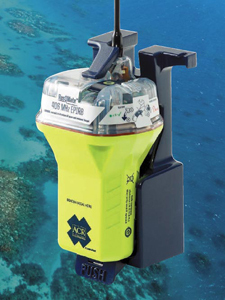 This package gives data downloads, a local Australian number and marine antenna along with two handsets. 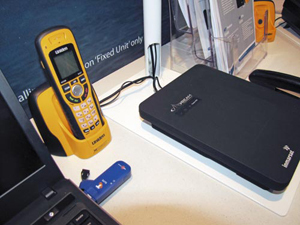 Uniden XDECT handset bundle (pictured) comes with a Beam Oceana Vessel Fleet phone. 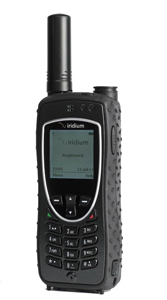 The Iridium Extreme, also known as Iridium 9575, offers global satellite coverage in a toughened handset. Though not submersible the unit is water resistant to IP65. Data speed of 2.4kbps — used with our free onsatmail provides affordable email and GRIB weather maps. 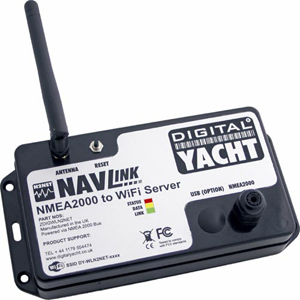 Arriving next month from innovative UK company Digital Yacht is a wireless server that can relay NMEA 2000 data to iPads and iPhones. NavLink creates a local, onboard, Wi-Fi hotspot that sends data across the network using either a UDP or TCP/IP connection, which is compatible with many PC Navigation packages and iPad/iPhone apps such as iNavX, iOnBoard and NMEA Remote. 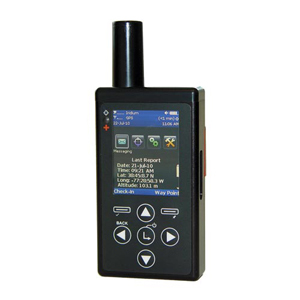 The SATMATEi35 (also sold as the Iridium Shout Nano) is a handheld, global, two-way satellite messaging and personal tracking device. It utilises Iridium’s short burst data (SBD) service to provide location information determined by a GPS receiver, two-way inbound and outbound status, text messaging, and emergency/alert notifications. The SHOUT Nano is equipped with an LCD display and an on-screen keyboard allowing transmission of free text and canned messages. The device can periodically "wake up" from sleep and sends its position report to a server or an emergency alert via a 911 button. Data is transmitted in either standard or 256-bit AES encrypted format. An internal motion sensor allows detection of man-down scenario. Thanks to an internal 1.95amp/h rechargeable Li-ion battery, it can send a position report every hour for up to two months (about 1200 reports). Running costs are $17.50 monthly plus $25 monthly tracking system charge. The SATMATEi35 measures 4.0in x 2.2in x 0.8in and weighs 6.5 ounces. The new RoguePro is the latest in long-range Wi-Fi from Wave WiFi, distributed by Land and Sea WiFi. The RoguePro is a compact wireless bridge and Ethernet converter that makes it possible to receive Wi-Fi transmissions from a quality outdoor hotspot up to seven miles away. The RoguePro has 800 milliwatts of output power and comes with an 8db stainless steel marine antenna. Its polished stainless steel case has a thread to fit directly to any standard marine antenna mount. An Ethernet cable connects the device to any computer or Ethernet-enabled device, such as a wireless router to create your own local hotspot. It works on both Windows and Mac platforms and features a simple Web-based interface, so no software is required. The RoguePro comes with all cables and connectors needed and will run on 110/220V or 12V. MR Marine Australia markets a range of satellite TV receivers, ranging from the entry-level 32in dome that covers most of the Australian east coast up to the Ocean 0900 model giving full national coverage. 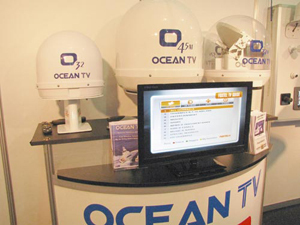 Manufactured by one of the world’s leading satellite tracking companies for Mr Marine Australia these units can receive all channels including free-to-air and is approved for Australian pay television. 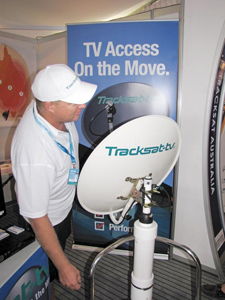 Tracksat-tv’s marine-quality mobile mast assembly and a satellite tracking antenna enables high-definition satellite TV reception from a moving platform. There is a choice of five Australian reception zones plus options for New Zealand mainland and waters coverage. The units are weather proofed and made in Australia to suit local conditions, however, provide world-wide compatibility for international cruising with mobile satellite TV access. The 700 series includes the MS-IP700 ($599) iPod player and the MS-AV700 ($749), which includes a DVD player. The 700 series feature a large colour screen, is waterproof to IPx5 and controlled by iPhone or Android smartphones. 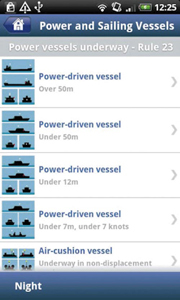 Data from the units can be displayed on MFDs using the FUSION-Link software via NMEA 2000 CAN-Bus or Ethernet protocols. Skippers use the MFD’s large screen to control one or more 700 Series audiovisual systems with four speaker zones each. Both models are marine ruggedised to IPx5 and expandable with optional wired remotes and amplifiers. Apple music menus are controlled by the single Commander knob, with albums and tracks displayed on the screen. For the widest range of music and video sources, the MS-AV700 and optional dock replays AM/FM/VHF/iPod, iPhone, USB, CD, DVD, video, plus MP3 players. Both 700 Series models receive Marine VHF channels, replayed through your onboard stereo speakers. 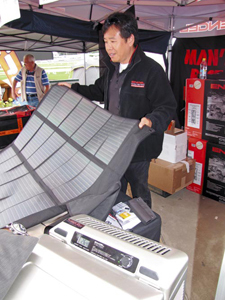 Surviving away from the madding crowd can be challenging, especially when it comes to power so I was quite interested in Engel’s latest military-grade solar panels, particularly the flexible ones. Similar to a picnic blanket the 60W unit unfolds to produce up to 4amp — which powered the 32lt Engel display fridge (requiring 2.5amp). The Amphibian 12 Pro X-treme is an underwater-only LED light that equates to 50 Watt Xenon luminosity, while offering large power savings. It runs on 12V-DC 1.8amp or 24V-DC 0.9amp. It requires a 9mm hull hole. From Trade-a-Boat magazine Issue 431, Sept-Oct 2012. Photos: Kevin Green; ACR; AST; Digital Yacht; Icom; Iridium; Land and Sea; Shutterstock.